KIND brand is doing a special promotion called #kindawesome. As part of the promo, you can choose someone who you think is kind and send them a KIND snack bar as a way of saying thank you to them. I will do this freebie with my sister. She and I have been dying to try these every time we pass them by at CVS pharmacy’s check out counter. More of a Nature Valley girl but am going to try! Thanks! 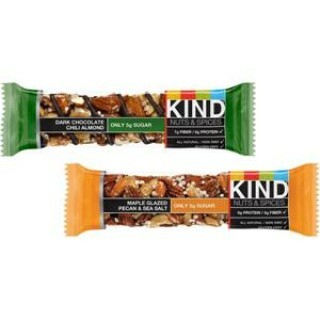 Kind bars are my favorite only bars that i eat. I recommend them to all my friends. What a great promotion! I love KIND bars. I just sent one to my husband. Thanks so much!